Controls in San Fran have been a long running feature of the market, so one could have expected for these to at least induce lower volatility in rents. As the chart above shows, that is not the case and volatility - poor-cyclical - remains in place. 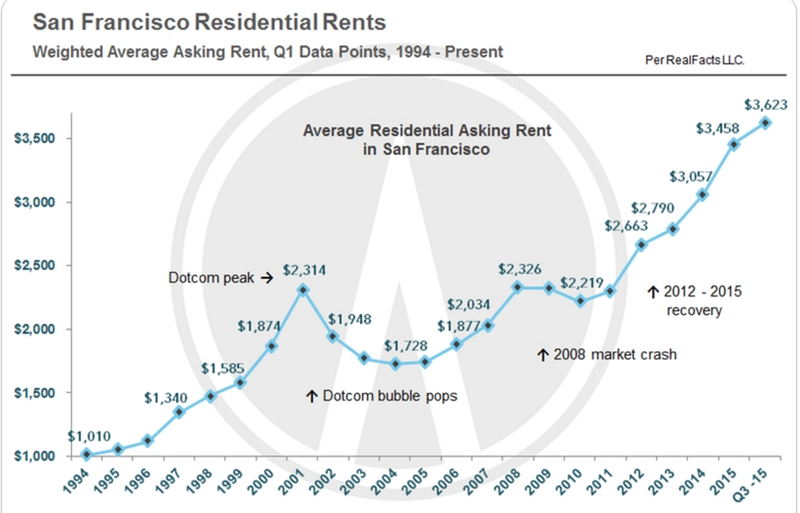 As per levels of rents, why, San Fran rents are just plain insane. So, Dublin's rationale for introducing rent controls is: we need more moderate rents to sustain growth of younger, innovation-focused enterprises. 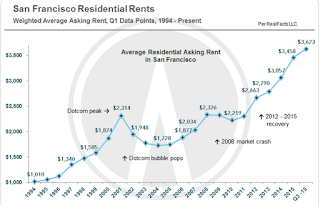 In San Fran, of course, rent controls have covered property market that sees younger, innovation-focused enterprises forced to pay 25-33% premia in wages terms to sustain hiring.